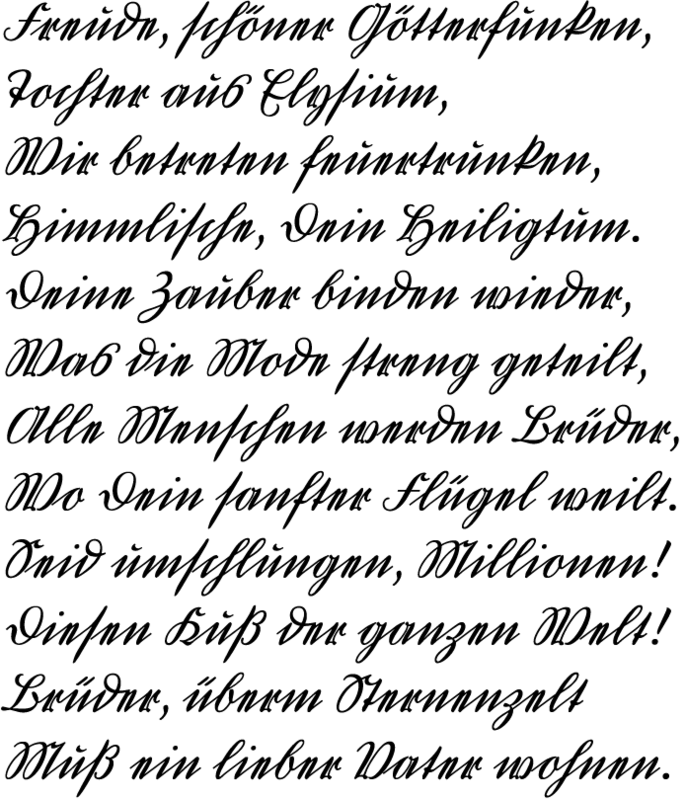 The “Deutsche Kurrentschrift” is an old form of German language handwriting. Until the middle of the 20th century it was the established script for daily writing in German-speaking countries. One could call it the handwritten counterpart of Fraktur. Kant, Goethe, Schiller, Mozart, Beethoven, Nietzsche, Freud, even Einstein; they all used it for their writings. Georg Saldens digital Deutschkurrent is based on his own handwriting. It is comparatively easy to read, because it avoids all superfluousness and decoration. See more about origin and form of the “Deutsche Kurrentschrift” and Georg Saldens Deutschkurrent here.